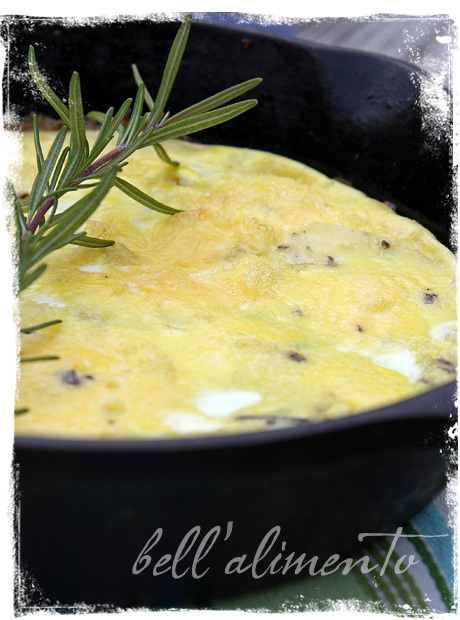 Tuscan Frittata & a GIVEAWAY! I WISH you could smell these products! I can’t tell you how EXCITED I am about these! Okay I guess I’m going to have to try to contain my giddiness & put some words to screen (tee hee). I recently received some amazing products from The Scrumptious Pantry. The Scrumptious Pantry is a fantastic company. They only source from small artisan producers, whenever possible right at the source of the primary ingredient – the farmer. The artisans of THE SCRUMPTIOUS PANTRY are dedicated to natural food making. They do not believe in artificial flavors, conserving agents or other artificial ingredients interfering with their work. So what you get is real food from real people! In most cases, the products are organically grown and prepared, because they care for sustainable agriculture and eating. It is essential for the future of farming and the health of both nature and people. Therefore they commit to only bringing those products to the US that are unique and cannot be produced in a similar quality in the US. Pretty nice, eh? These are products that are right up my alley! I really can’t say enough how INCREDIBLE these products smelled, even before opening the jars. They’re lovingly packaged and have fotos of the actual farmers right on the label. How’s that for cozy! I also received a jar of the Sundried Tomato Spread (here’s what the label says) “A classic Italian treat, Roberta and Giulio lay out the freshly picked tomatoes to dry, before they are chopped up and mixed with estate grown chili peppers, oregano and olive oil for this tasty spread.” My mouth is watering this is so GOOD! BUONISSIMO! For a classic Tuscan Frittata fry the chopped onion and sliced potatoes in olive oil over medium heat until potatoes are mostly cooked through. Sprinkle with this roasting and grilling salt and let cool off awhile. In a separate bowl, beat eggs. Spray an ovenproof pan with cooking spray. Let potatoes and onions slide into egg mixture and combine well. Pour mixture in coated frying pan and bake at 350 degrees till done. Okay so you saw GIVEAWAY in the title right…well The incredible generous people behind The Scrumptious Pantry want to share with YOU TOO! See how good it is to be my friend LOL… so *drumroll please* we’re GIVING AWAY 5 SETS of the Grilling & Roasting Salt & the Sun Dried Tomato Spread! Yes, you heard right FIVE SETS! That means FIVE LUCKY winners! You want a set? Of course you do! All you need to do to enter is leave me a comment telling me what you would do with these products (how you’d put them to good use) Contest is limited to US addresses only (so sorry to all my out of the states friends). Contest will end on SAT MAR 6 at 12pm EST. Winners will be drawn by a snappy dappy random number generator. Play nice & good Luck! Ok, these sound absolutely DIVINE. I think with the salt I’d eat it on crash hot potatoes… The spread…crostini… YUM. I’m drooling. HaHa, When I was in Italy a year ago, I bought both the jarred sundried tomatoes and some salt with herbs and I have YET to open either of the jars. So please don’t include me in the contest. I’m “saving” them for a special recipe so I’ll definately be back to get lots of idas on what to do with my jars. However, if there are lots of ideas, I’ll need more of the sun-dried tomatoes and herbed salt to make so, yeah, include me in the contest! I think that the salt would be delicious on grilled fish or steak, and also super yummy sprinkled on popcorn! The spread would be delicious stirred into pasta or just spread on some fresh baked bread! 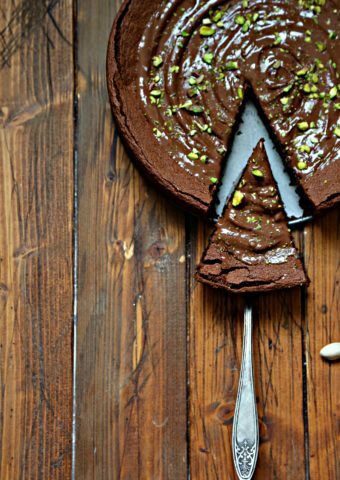 This recipe looks yummy…can’t wait to try! I love to add sun dried tomatoes to winter salads and the salt looks like it would be wonderful on steamed veggies. (actually that salt looks like it would be good on just about anything!) I have enjoyed poking around your site….I found it yesterday on Saveur’s website. This looks soooo good! 😀 I would use the grilling salt to season fish, then bake it in the oven with lemon slices in parchment paper. And as for the sun-dried tomato spread…I would smear it on some warm bread, put it on aglio olio pasta to dress it up, or maybe combine both ingredients for scrambled egg. But before all that, I think I’m going to dip my finger in each container and do a taste testing…my mouth is watering thinking about the possibilities! I would love to try the grilling salt on steak, and add the sun-dried tomato spread maybe to my chicken saltimbocca sauce. I’d probably use the tomato spread in a muffuletta-type sandwich. And the salt would most likely go on a whole grilled fish. Yum! I would use the sundried tomato spread as a base for pizza or to perk up a mushroom ragu. The grilling salt would be fun as a topping for focaccia or on a simple roast chicken. Hi! I think I would season both sides of a good steak and slap it on the grill and serve it up with a side of fresh pasta topped with the sun-dried tomato spread and some fresh basil. Add a simple salad, a glass of red and call it dinner! the salt i would try with my sugar & spice salmon.. the spread… hmm im thinking making some fresh focaccia! Yum! I want the tomato spread for my morning bagel (I’m thinking with goat cheese and maybe some greens), and the grilling salt is going to get used on pretty much everything, such as grilling/broiling vegetables, chicken, etc..
Oh I just love this site! So many ideas! That roasting salt would do great on a rack of ribs served with a flatbread and the sun dried tomato spread. Maybe some fresh greens from my garden to balance? Ah, I just can’t wait for the summer!! It might sound like cheating, but I’d share mine with my mom so she could have a taste of Italy (like I have everyday)! I love using tomato pesto and basil pesto on sandwiches ;). Sliced ciabatta, roast turkey, sun-dried tomato spread, lettuce and maybe some sliced buffalo mozzarella. MMMmmm… And right now, I’m in a ‘shroom phase, so use the herbed salt with sliced portabella or baby bella mushrooms, sauteed in olive oil and butter, maybe a splash of red wine… Nummy! The grilling salts would be FABULOUS on steaks!! My mouth is water right now just typing it! And the sun-dried tomato spread I would use on some pasta!! My poor Weber Grill has been in hibernation for months. Snow or not, as soon as the grilling salt arrived, I’d grill up a delicious steak using this. The Sundried tomato spread might make a nice beginning to an interesting pizza. Hope I win. I’d definitely try the Tuscan Frittata! That looks fabulous. The sun-dried tomato spread on some french bread with mozzarella and basil would be good–but I’d try a recipe on the jar if there is one. Truthfully I’d use it on everything. But what prompted me to leave a comment is the fact that there is a name for what I’ve been eating and making my entire life. Tuscan Fritatta. I love it. My parents were both born in Italy and I am first generation American. My father had a massive garden and we had chickens (fresh eggs daily) and rabbits (Yum!) and the occasional goat. This was all in the middle of a small city. LOL!! When funds and groceries were low, we ate fritatta made with fresh eggs from our chickens and it was the exact same recipe that you posted. Tuscan Fritatta. I LOVE it! I have a thing for sun dried tomatoes…. so I would probably using that spread on anything that wasn’t nailed down!! holy moley, those look amazing! i hadn’t heard of that company before, but i’m definitely going to check them out-what a fabulous thing! WOw! Sounds like a great product! I would totoally use the the grilling salt for veggies and eggplant when grilling and maybe some portabella mushroooms. Then, I would use the sun-dried tomatoes for a recipe I have been wanting to make: a polenta pizza! Yum! I’d also put the grilling salt on steak-probably a nice fat ribeye. And then I’d grill some zucchini, onion, and eggplant and top it with the sun-dried tomato spread. The herbed salt would be great on a thick juicy steak thrown on the grill and I might plop those sun-dried tomatoes over some goat cheese and serve with bread toasts. I’m definitely thinking grilled fish for the salt, and a I love sun-dried tomato spread on sandwiches, especially while tomatoes are out of season. Thanks! Mmm…roasted chicken for the spices and a pizza for the sauce. Yummy! yum yum yum! I would definitely make that frittata with the roasting and grilling salt I think I would use the sundried tomato spread on some toasted baguette slices for a yummy appetizer. First thought for the sun-dried tomato spread– mix it with a little homemade mayo to make a great sandwich spread to perk up anything! Or– make a creamy dressing for an Italian chicken salad. Roast or grill chicken breasts that have the salt rub on them, when done chop them up, mix it with pine nuts, maybe a bit of roasted red pepper, a teeny bit of thinly sliced red onions, and few capers–top them with mayo/sun-dried tomato dressing. Cant wait to try the sundried tomato spread on some thin whole grain spaghetti with a little roasted garlic and lots of parmigiano! I am going to their website as soon as I finish this post. Thanks Paula for introducing yet another wonderful product! Oh my!! 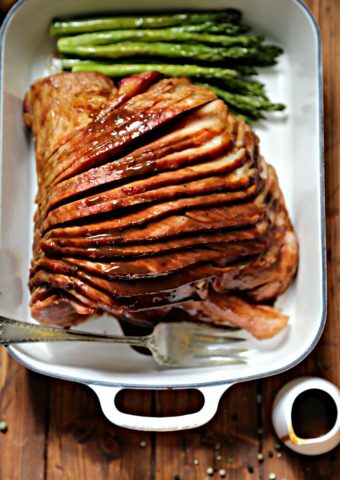 I would use the grilling roasting salt to season the prime rib roast that my husband keeps asking for. And I would put the sun-dried tomato spread on some tasty artisan bread throw some smoked mozzarella or fontina on there and make a fancy grilled cheese! I think the sun dried tomato spread would be great on some grilled shrimp or with some orzo and spinach. I would love the salt on a tenderloin with fresh grilled vegetables from my garden this summer. I owuld definately use the salt on meat, eggs, veggies, anything that I am cooking. The spread would go very nicely on a sandwich. Great giveaway! Oh my goodness, oh my goodness! First, I’d get some Tuscan bread and just spread some of that sundried tomato spread on there! YUM. Then I’d make some kind of beautiful beef roast and season with the salt. Natch, I’ll make your frittata because it sounds awesome, and probably a roast chicken with the salt too. The sun dried tomato stuff… wow. Gotta be in a pasta sauce, maybe even a sauce to go over the steak I’ll make with that salt. Oh yum! These are a pantry’s friend! 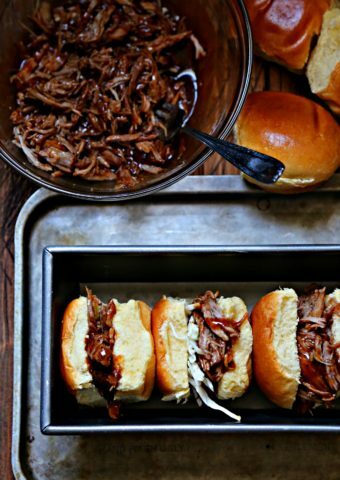 I would love to try these in all my Weight Watchers recipes (& prepared food)! I think it would be a great help in the quest for fabulous health! Steak…chicken…fish… what would the salt NOT go on? 🙂 The sundried tomato spread would be fabulous on homemade bread or in a spinach salad. Yum! I’m thinking the grilling salt on a nice piece of steak before it’s grilled and the sun dried tomato spread maybe on crostini and topped with some marinated veggies. I’d love to try that grilling and roasting salt on some oven roasted root vegetables – carrots, onions, fennel, sweetpotatoes… and I can just taste the sundried tomato spread added into a bread salad. Yummy! Pork chops on the grill and pizza for sure. So glad to find out about them. I love supporting local farmers and sustainable growing. Their items look yummmmy! Hi – I would use the grilling salt to season steaks (then try it with other meats). I would add some of the sun-dried tomato spread to a cream sauce and serve over pasta. I think the cream sauce would highlight the flavors in the spread. Or stir some into a risotto, which would also highlight. Thanks for the give-away! I’d be so excited to try these products on some of my plainer meat dishes.. I can just imagine how wonderful the salt would be on steaks or a roasted chicken and roasted vegetables.. Yummy! I’d have to try the Grilling Salt on a nice fillet of flounder or mahi mahi, and that Sun Dried Tomato Spread is dying to become an important ingredient in a Basil, Mozzarella and Spinach/Romaine flatbread or ciabatta sandwich! What a great giveaway! I think I would use the salts to season grilled meat or fish and there are so many possibilities with the sun dried tomato spread! I would add it to pasta sauce, spread it on crostini or use it as a vegetable dip! So glad to have found you and your recipes! This Italophile would use the grilling salt on my grilled verdura mista and the spread on bruschetta over some gorgonzola dolce . . . yum! 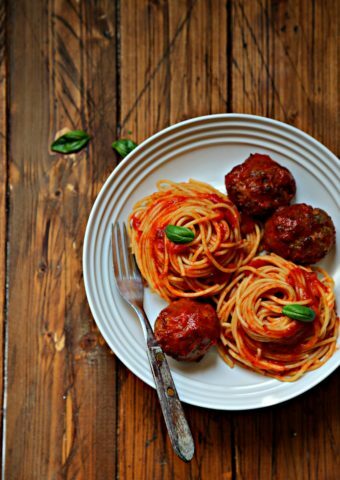 with the tomato spread… maybe toss with some pasta? or maybe make a bruscetta? and the grilling salt would be good on a steak or maybe on some roasted potatoes? Oh my the grilling salt………..how bout a tasty grilled salmon lemon and salt is all it needs. The spread maybe a cheese tortellini salad with some griiied veggies and a lite vinegarette. Wow, how cool!!! I would use the salt on my grilled portobello sandwiches, and the spread…golly, I’d put that stuff on just about everything, I think!! I *love* sundried tomatoes!!! I’d set to work discovering the best uses for these items that I’ve not used before. Exciting! Darn! I just made a frittata and I could have used this. Next time! The salt and herbs sure sound like they’d sit very well in a pool of olive oil for dipping. The tomato paste would probably end up in a nice bean stew. THe salt would be for grilled steak and the sundried tomato spread would go on a crostini with a shrimp on top. I’d use the salt on some roasted veggies – a mix of asparagus, onions, parsnips. mmmmmmmmmm. I would make grilled bread sprinkled with salt and covered with the tomato spread, since I’m eating vegan for a few days! The frittata recipe looks great, though – maybe I’d break my diet and make that!!! I would take the herb salt and roll some baby or fingerling potatoes in it and roast them in the oven. As far as the sun dried tomatoe pesto goes that I would use as an apetizer spread and make a plate to resemble the italian flag with some crostini’s topped with goat cheese, pesto and the sundried tomatoe spread. Bon Apetito ! I would make a crusty, crunchy, bruschetta with the sun dried tomato spread, a glass of wine and I am set for dinner! I would love to try the salt on some fresh salmon on the grill! I think I would use the salt mix on fish. a nice tilapia. I also think the tomato mix could be made into a really neat sauce for chicken with pasta. the Fritata looks devine! I’d sprinkle the salt on pita chips, roast them, then serve with the pesto mixed with some soft goat cheese as a dip! Hi, I’d love to use the salt to grill some sea bass. I’d love the spread to put on warm sourdough bread drizzled with some olive oil. Thanks! Yum!! Some of the delicious looking salt on a juicy piece of lamb is sounding very tasty, and the sun-dried tomato spread would be great with some poached eggs, or on top of a burger, or…. I will make some bruschetta to knaw on while I am grilling my California lamb salted to perfection with my grilling salts. I would use the Grilling & Roasting Salt in my chicken marinade and then grill it. I would use the sun dried tomato spread over ricotta on my white pizza – then add fresh mozzarella and fresh basil. The salt would be good on corn on the cob or sprinkled on oven roasted potato wedges, and I’d love to toss some stir-fried (or steamed and chilled) green beans in some of the sun dried tomato spread. Yum, I’d like to try that frittata and the spread sounds like it would be fantastic on sandwiches. The salt – definitely on a roast chicken, with some lemon and the spread, that would have to make bruschetta! I am thinking the salt would be amazing on fish, potatoes and roasted veggies. The sun dried tomato spread would be amazing on fresh baked bread. Wonderful, two things I use all the time. The salt I will use on almost everything. Sun dried tomatoes I use in all kinds of dips especially. Would love to have them both!!!! I think the spread would be delicious on homemade crusty bread paired with homemade pasta or better yet, italian wedding soup! My cousin in Italy makes her own herbed salt and it is great! I’ve tried to repilcate here and have not done a great job, that I can tell you. I use it on almost all fish and meat. I also use it on vegetables and in my very simply salad dressing – olive oil, red wine vinegar + herbed salt…yum yum. I’v also made a dip from it: sour cream, mayo, smashed artichokes + herbed salt. I would add the sun dried tomatoes to this dip and then it will be super specail!! I would make some homemade pita & turn them into chips- seasoned with te salt. Then dip said chips into hummus made with the sundried tomato spread. Mmmm! I’d have fun experimenting with both of them! Salt on chicken, scrambled eggs, roasted potatoes, roasted vegetables — squash would be nice. The tomato spread I’d use for toasts, mixed with cream or goat cheese as a spread or dip, blended with brown rice and parmesan for an impromptu risotto, and of course with pasta! I would use the salt on steaks for grilling and the spread would be great on some toasted french bread with olive oil. Yummy! I would use the Sundried Tom paste on pizza, or stuffed chicken breasts or on crostada. The salt sounds delicious and i would use that on chicken or in soups. I’m thinking the spread might be good on some grilled chicken or in some pasta and the roasting and grilling salt I’d love to try in some bison burgers. I think I’d use the salt on some nice tilapia or vegetables, and the subdried tomatoes on a delicious panini with proscuitto! I would love to try the grilling salt on some fish and the sundried tomato has so many great uses……dips, pizza, pasta. Yummy! I’ll probably use it on eggs and salads, to really showcase the flavor. These look absolutely freaking amazing! For the salt, I would probably try them on PW’s Crash Hot Potatoes seeing they are a slight obsession of mine at the moment. For the tomatoes, I am thinking perhaps a happy little marriage with chicken, pasta, cream, and parm/reggiano…..ahhhhhh, bliss! I would use the roasting and grilling salt to stuff under chicken skin with butter to make the perfect roast chicken. I think I would use the sun dried tomato spread to keep in the pantry as a last minute hors d’oeuvre with bread or crackers. And I just bought organic pasta…the telephone cord and angel hair. The tomato spread hmmm….on the pasta or fresh baked bread? There are so many great places to buy all kinds of salt/seasoning mixtures now. The frittata looks so good. We love grilling salts and these sound delicious! I would use the grilling salt on a nice thick ny strip on the grill coked rare and the sun dreid tomoatoe spread so many things a warm bagel in the morning, some home made pits chips or in some yummy pasta. Pick me pick me!! Was so very lucky to get a spot at your first cooking class and to actually get to appreciate the amazing aroma of these products while there! I wonder if the salt one would work as a rub for grilling a nice piece of fresh fish? There are so many recipes for sun-dried tomatoes! Maybe a simple topping of sundried tomatoes tossed with garlic and olive oil for a yummy bruschetta! These seasonings sound wonderful. There are times when I can’t get fresh herbs or simply don’t know how to use them. So having a quality blend that I can use on different foods would be heavenly. My husband loves to grill so I am sure these would be used as rubs for chicken and beef. I would use them on homemade pizza as well. I would try the salt on roasted butternut squash cubes mixed with garbanzo beans – for a nice salty, sweet side dish. It also sounds like it wouldn’t be bad on focaccia bread. The tomatoes might be nice in a layered dip with mascarpone cheese and pesto. Serve that dip with a nice crusty bread or sandwich it in the salted focaccia with grilled veggies. MMMM. Are you kidding? What would I do with these delicious looking blends? I’d cook with them! lolol. The grilling salt on fish or mixed with soften butter and let melt over sauteed fish. Sundried tomato, I’d try to use in a spread or dip for weekend munchies. I would grill some steaks rubbed with the grilling salt, and would top them with some chopped rosemary, some of the sun dried tomatoes and gorgonzola cheese =) Delish!! I’d put them both on Bruschetta! Sundried tomato spread+ tomato paste+goat cheese+wine=great pasta sauce! I love all of the Scrumptious Pantry products. I would use the sun-dried tomato spread in a risotto and the grilling salt for making spatch-cooked game hens. Add a salad and some prosecco as an aperitif and you have an excellent meal. Does it get better than a fritata? I’d use the salt for roasting or grilling (meats and veggies). The tomato paste I’d pair with goat cheese. Yum! I would have my husband grill some steak or fish and I’d make a nice pasta to go with it. The sundried tomato spread would make an excellent pizza or bruschetta base. The salt would have to be tried on barbequed fish and chicken. Yum! Fish, vegetables, soups. For both the salt and the spread! Amd [izza, too. I would use the salt on lots of things. Mainly I think it would be awesome on a grilled steak. so many choices, so little time! Salt on fish, chicken, everything! I’d use the spread in sauce, and of course on a warm sandwich! I just made the Frittata for dinner. It was delicious. these would be fun to try on breads and veggies! The Grilling & Roasting Salt would be scrumptious on roasted vegetable, and the Sun Dried Tomato spread lighted added to some Naan would be amazing!! I’ve become addicted to roasted root vegetables (mostly sweet potatoes, carrots and onions). I have to have them every day. I think the Roasting and Grilling Salt would take these to the next level of yumminess. I’d use the Sun Dried Tomato Spread on rustic home-made pizza. I’d use them both on other things too, but those were the first that came to mind. They both sound so good. The salt would be used to cook chicken or beef, and the sun-dried tomato spread would be wonderful on crusty bread oe with pasta. Please pick me so I can expand my cooking knowledge. 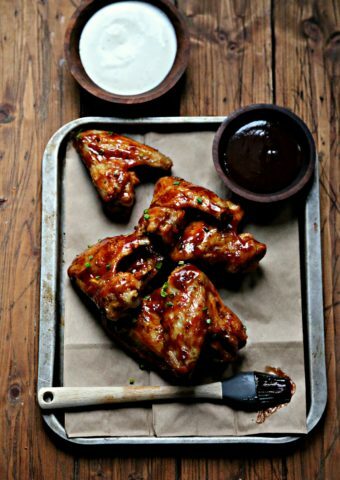 These inspire a dinner of Tuscan Style Spare-Ribs accompanied by a Risotto with Sun Dried Tomato Spread folded in. Perfetto! Oh wow! Yummy. I’d use the salt on our baked potatoes. My husband and I wash baking potatoes, rub them with olive oil, then roll in salt and bake. They come out great. The Tomato Spread I’d use on toasted bred. Thanks for the chance to win! I would use them to experiment with new recipes for my fiance. We both love food and like to browse Dean & Deluca for unusual ingredients, imagining what recipes we could use them for. I’d use the salt on roasted vegetables to intensify their roasted flavors. The tomato paste sounds yummy. I think I’d pulse it up with some chickpeas and make some hummus. I’d use the Grilling Salt on grilled vegetables–zucchini, portabello, etc.–for extra savor. The tomato spread would go on flatbread, yum! I’d like to try the salt on grilled flank steak and I bet a spoonful of the tomato spread would make homemade tomato soup taste even better. Dear Heart, all you have to do is SAY sun-dried tomatoes and Honey Bears mouth drools! LOL! We bbq alot, ALOT…the only time we dont is when it is bitterly freezing. We have come up with some of THE best foods by grilling and adding a bit of this or that…hard to duplicate them again, but at the time, d-e-l-i-c-i-o-u-s! 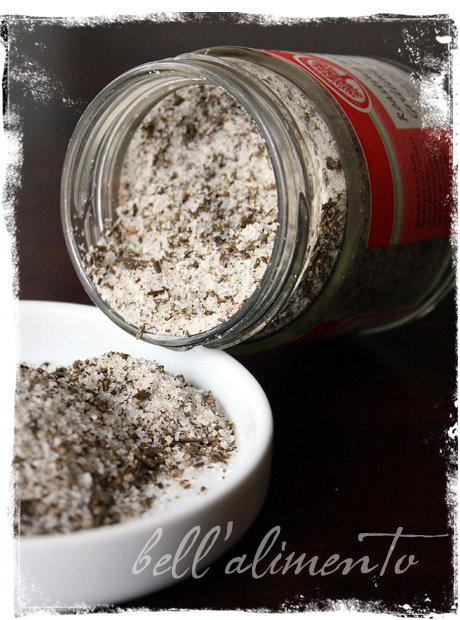 Grilling and Roasting Salt – I would use along with other ingredients for a rub on meat. Sundried Tomato Spread – I would spread on crusty bread. I just discovered your site! Quanto Bello!! I will absolutely prepare the Frittata (Tortilla in our home). Perhaps a nice Caesar Salad and bruschetta with the Sun Dried Tomato Spread. Yum! For the rub…I’d season some grilled shrimp then mix a little in some melted butter and toss it all w/ pasta. On the spread…layer it up in a mascarpone/cream cheese torta with some fresh basil. I would season a tenderloin of beef liberally with the herbaceous grilling salt. Cure it 24 hours. Grind it. Shape hamburger patties. Grill them rare -medium rare. Top the burgers with aged mountain gorganzola and served them on homemade grilled hamburger buns. The sundried tomato spread would find its way into deviled eggs with homemade aioli and fresh basil. Simple and delicious like the products themselves. I’d use the salt on a very big ribeye steak!! Sounds delicious. I love to use seasoned sea salts on grilled meat. The sun-dried tomato spread would be delicious with freshly baked Italian bread! Grilling season is coming up and after our long winter I can’t wait to get the grill out. These would be great to try this year. I’d have my husband use the grilling salt when he bbq’s and use the spread on some warm toasted bread. I would love to try the grilling salt on roasted vegetables! And the sun-dried tomato spread would be delish on just about anything, but I would maybe try it in a quiche — a little bit here and there! Only one thing comes to mind Pizza! The salt mix would be great for grilling fix and steak. And the sun-dried tomato would be fabulous on crackers for a party! Love the frittata! I’m in a pizza mood, so i think I’d have to make some pizza/focaccia with the tomato spread. I’m sure the grilling salt would be delicious on all sorts of veggies and meats. The possibilities are endless! I would eat the sundried tomatoes on some good warm bread with some nice cheese. As far as the salt goes the skies the limit…perhaps as a great rub for meat when grilling. I would heat up my cast iron skillet screaming hot and slather some salt mix on a filet minon and away we go! The tomato spread would be great on some toasted bread and I’m sure the salt would be wonderful on meats. Great giveaway! I’d use the grilling salt on steak and the tomato spread on crostini. Yumm!! 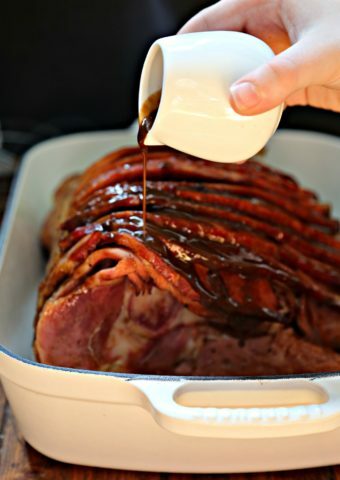 I would love to use the salt for roast pork tenderloin or maybe even some grilled chicken once the weather gets better. Or maybe on red potatoes? Sounds fabulous. And I would use the sun-dried tomato spread by mixing it with a couple of cheeses and stuffing chicken breasts with it. I would use the salt on steaks and burgers. The sun dried tomato on bruschetta! The salt would be great on a nice seared tuna steak! And you couldnt go wrong putting the tomato spread on some nice crusty bread, but I would also try using it on a portabella sandwich! Yum! I’d use the salts for grilling vegetables!! mmm! I’d use the spread on a pizza instead of sauce! Yum yum! Well I’m a total salt addict, so I’d probably put that salt on anything and everything I could get my hands on! I’d love to try it in a simple pureed soup, or on some grilled seitan or tempeh. And I think I’d keep it simple with the sun dried tomato spread and just enjoy it with some grilled bread. Fire up the grill. I would love to sprinkle these on some veggies, fish, etc. I’d use the first as a finishing salt on bowl of white beans with basil and olive oil . and the tomato spread on some fresh toasted bread slices with a smear of cream cheese. Cool Paula! I know it’s strange, but I like to sprinkle salts (any kind!) on the ops of my Chocolate Chip Cookies before I bake them. It makes them so rich! Of course, if the salt is a flavored salt, it’d go well with Jon’s addiction to grilling and the smoker! They would be great for grilling, salads, sweet potato fries…I use this sort of seasoning as salt with a kick! Well I’d cook with them silly! 🙂 I’m very known in my family to make what we call “guinea pig” recipes, so I love trying out new stuff. I’m thinking some kind of skin-on fish fillet for the grilling salt. The sun-dried tomato spread would be great on some nice crusty bread, or turned into some kind of crostini. i would love to use the grilling salt as a rub for my roasted chicken and i will use the sun dried tomatoes to top my baked mussels with olive oil and lots of garlic…yum! OK 1st it was really great to meet you yesterday and I love you site. So what would I do with these amazing looking products? Well I love sundried tomatoes so I’d probably use it in some sort of chicken pasta dish. As for the salt I’d probably make the above recipe! Since my husband was diagnosed with diabetes and we’re both attending nutriton classes and trying to eat more nutritious and healthy foods, these spices would be great for putting on grilled fish and chicken and in the wheat berry salads we’re learning to make. Can’t wait to try the sun dried tomatoes with our low fat egg dishes. I would use it for many of the dishes I currently add salt and pepper to. The salt blend would be wonderful with any pan seared fish and a brown butter sauce. I’d love to try the sun dried tomato spread on a flatbread pizza with anchovies or goat cheese. So many possibilites! bread…. fresh bread… both of them could be used on warm fresh bread! And fish! Either one would be wonderful to me! I would make a sun-dried tomato roll – like a cinnamon roll, but substitute the sun-dried tomato for cinnamon sugar to make a savory side to a hearty meal. Yum! I would probably make the the recipe you have given us and I will experiment with the new ingredients. My kitchen is like a lab at times. You never know what I will come up with next. I would use the sun-dried tomatoes in my cybisco pasta dish. I would use the Roasting and Grilling Salt for my ribs. The herbed salt I would use simply on some grilled boneless pork chops to accompany the lasagna I would make with the sun dried tomato spread. I would make a tomato – ricotta filling with the spread and a spinach, basil pesto, ricotta filling then an Italian cheese sauce. the layers would be red, white and green – how appropriate! The sundried tomato spread screams bruchetta! The grilling salt would serve as an excellent rub for a spinach stuffed pork loin. Now I am seriously hungry! Great website! Wow, these items sound amazing. Well I have always been big on seasonings so I would use this in just about anything. Sprinkled on oven baked sweet potatoes, in simple scrambled eggs or on toast rubbed with a little garlic then lightly sprinkled with the seasoning. But of course on some grilled salmon it would be perfect. For the spread, A fresh made pizza comes to mind, use it lightly as the sauce then sprinkle the crust with a little cornmeal. Oh so Amazing. As a topping to simple sautee of shrimp over pasta. I would use them to flavor osso bucco; these ingredients sound like they would jazz that inexpensive yet delicious dish. I’d add some of the tomato spread to my pasta sauce to give it a boost. Thanks for the giveaway! The salts would be good on everything. The sun dried tomato spread would be delicious on some focaccia or pizza. YUM! As mentioned above, the salt would be great on fish or any meat for that matter. The sun dried tomato spread would be delicious on some bread or as a pizza topping. I’d probably use the sun dried tomato spread on some flatbreat w/ some veggies and cheese…. not sure about the salt, I guess I’ll have to check it out for some recipe ideas! My Weber grill and I are also longing for the end of winter! I would rub the grilling salt on a rack of pork back ribs, and then grill them slowly until tender and juicy. I love making pizza on the grill, so I would use the sun dried tomato spread on a pizza with blue cheese and walnuts–yummy! Reading all of these suggestions has made me very hungry…. Yum! I’d love to try the Roasting & Grilling Salt on some grilled fish which I usually put with rice. Grilling season is almost here! I would try them on veggies. The grilling salt would be wonderful on roasted veggies tossed with just a little extra virgin olive oil – and the sun dried tomato spread I would mix with some goat cheese and sauteed wild mushrooms with angel hair pasta. I would love to try both of these – please enter me in the giveaway. I’m just learning to cook, so I don’t know exactly what I’d do with these, but I’m reading through everyone else’s suggestions and seeing lots of inspiration! Oh the possiblities! But I would start by using the salt on a big piece of meat. I have a 16 year old football player son that loves his steak! I think I’d definitely use them on Baked or even Grilled Chicken. Thanks for the giveaway! Roasting & Grilling Salt: I would drizzle a little garlic infused olive oil over cod or salmon filets, sprinkle with the grilling salt and broil. Sun-dried Tomato Spread: I would mix a few tablespoons of the spread with 1/4 cup of Greek yogurt for a nice veggie dip or chip dip. I think these would be perfect for using on chicken or pork. My husband is a crazy good griller and would use the salts on steaks, chops, chicken…..
And the tomato spread on his fabulous grilled bread. WAY better than toast! Normally I season meats and poultry with salt & pepper before cooking anyway, indoors or out, so the Roasting & Grilling Salt would simply be the Platinum version of my standbys. I’m sure I’d go through it very fast and have to buy more! The Sun-Dried Tomato Spread would go exceptionally well here in So Cal with many of our favorite snacks and appetizers; for instance, I’d make little mini-pizzas by spreading the mix on crackers and adding a little cheese topper, then broiling. I’d also make my own version of focaccia by spreading some on buttered Italian bread, and I can even see myself spreading a little over scrambled eggs or, perhaps, the toast I serve with them. Oh, heavens, the uses are endless! YUM! I know it’s somewhat ‘boring’ but I see the salts on perfectly grilled porterhouse steaks then on dauphine potatoes. How great would that be!? OMG – that sundried tomato spread would be amazing on the rosemary ciabatta we bake at work…with some goat cheese and balsamic vinegar? The salt for pork or chicken, or for roast potatoes. The tomato spread for bread, the tomato spread over cream cheese and served with crackers. The tomato mixture into Aiglia Oil (sp?) pasta with garlic and oil and the salt on a beef roast as a dry rub with thyme and crushed garlic. YUM! Looking yummy, maybe I’ll make a tomato basil fritatta for lunch…. Roasting and Grilling Salt. Cant wait to try it! I would use the spread on bruschetta, it can’t get any betta!! The Roasting & Grilling Salt would be fantastic on shrimp that is sauteed in olive oil – simple, but oh, so good. I can “taste” it now! I would use the spread on the sourdough bread I just made!! The salts I would use on grilled chicken and shrimp. The salt sounds like it’d be great on just about any roast — I’d probably try a pork shoulder roast first (one of my favorites!). The tomato sounds like a great addition to a sandwich — it’d be a nice savory addition. I make my own herb salt according to a Tuscan recipe my Italian friend passed on to me. It is basicly a blend of fresh garlic, rosemary, sage and parsley packed in sea salt. I use it in SOOoooo many things. 1. It is marvelous rubbed on a pork loin and really goes with any sort of roasted or grilled meat. 2. It adds a real depth to roasted pototoes or used to season homemade mashed potatoes. 3. I love to make a simple sauce for delicate cheese tortellini with just some butter, olive oil and the herb salt. Devine! 4. My favorite is the herb salted mushrooms. Sauted with a bit of spring onion it is heavenly! 5. And the list goes on and on!! I would use the spices on meats and maybe even in my omelettes and the tomatoes I would use on pasta dishes or sandwiches, or maybe even omelettes again! The salts, I would try on some wonderful artisan bread. The spread could go on after or the spread would be great for polenta crisps. Porchetta, porchetta, porchetta! My mouth is watering just thinking about it. And then there is thin Tuscan crust pizza, or perhaps focaccia, but definitely porchetta. MMmmm taken to a friend’s wood-burning oven and cooked there. I made this again today for brunch. What a wonderful dish–tasty and economical!